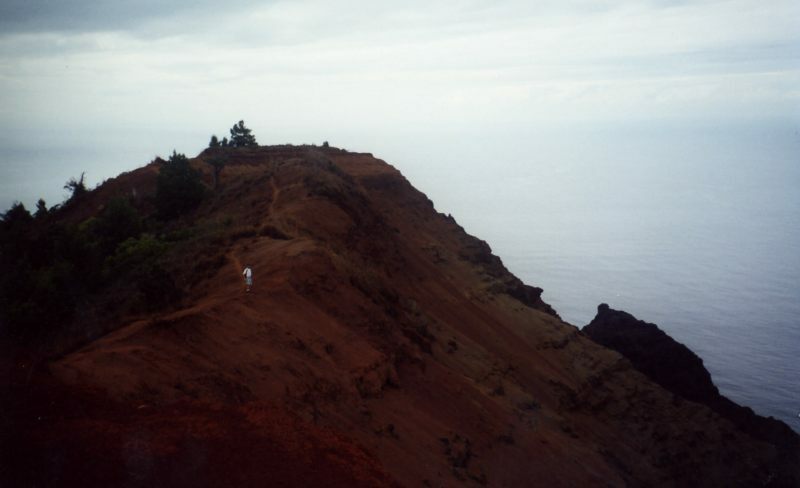 What Are the Best Hikes on Kauai? 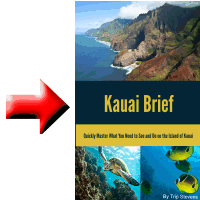 Kauai has some of the best hikes on the Hawaiian Islands and perhaps anywhere. There are a number of hikes you can take. I’ll list a few of the more popular ones. 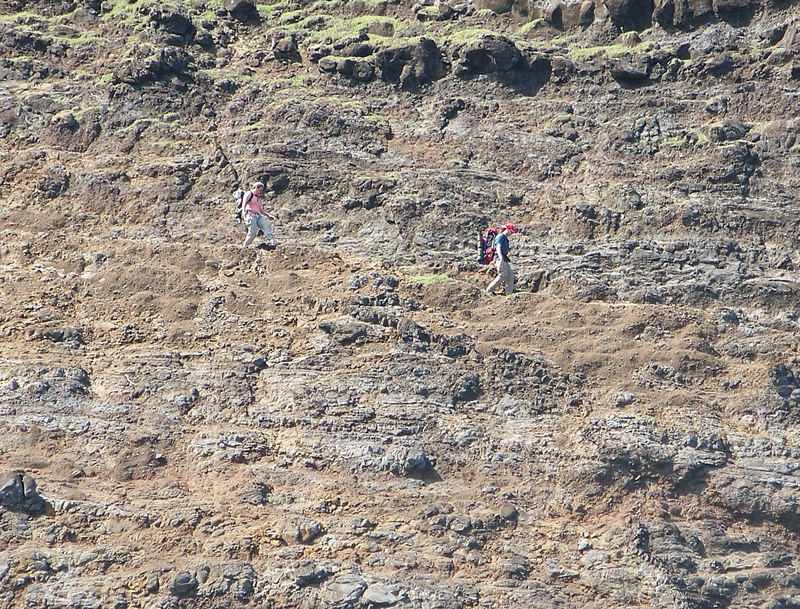 Probably the most famous Kauai hike is the Kalalau trail. While it is a hike like none other and has fantastic views of Kauai, I don’t know that I would give a blanket recommendation to everyone. 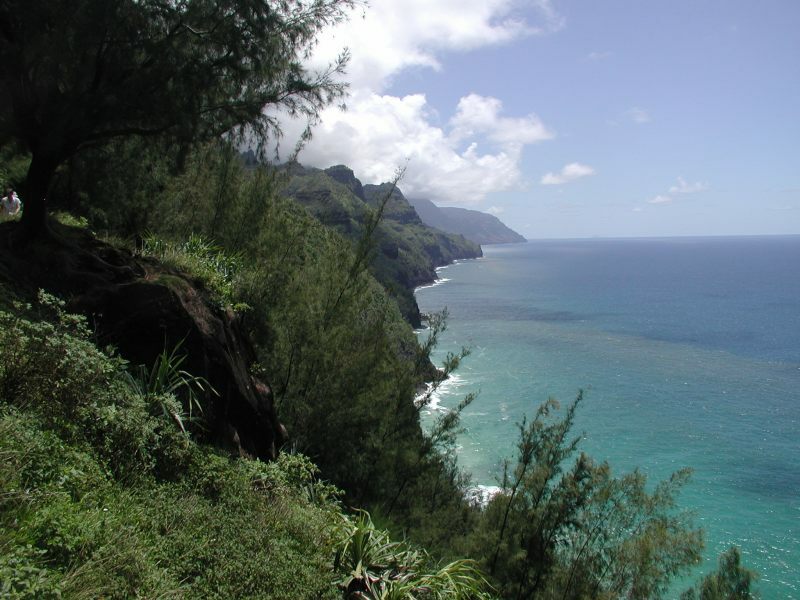 First off, one of the reasons people hike the Kalalau trail is to see the Na Pali Coast. While you can get some glimpses of it, there are better ways to take in the Na Pali Coast. I would suggest by boat or helicopter. The Na Pali Coast is so vast that you need to take it in from a distance. Sort of like the best place to take pictures of Earth is not by walking around your neighborhood but from outer space. The second reason is that it is not a hike for everyone. You really need to know what you are getting into. Go to youtube.com and search for “scary Kalalau” or “Crawler’s Ledge” and you will get some idea of how challenging it can be. Backpacker magazine includes this hike on their list of ten most dangerous hikes in America. Some hikers do it as a multiday backpacking trip. Some folks hike it as a one day out and back. It is 11 miles to the end of the trail so a round trip is 22 miles which makes for a long day hike. You are also totally at the whims of the weather. On a good day, the hike can be quite pleasant. On a bad day, it can be a long miserable grind. Once, I hiked a portion of that trail on a very rainy day. I spent most of the time on my back sliding down the trail. The rain was coming down so hard that no matter what I did, I could not gain any kind of traction. I was wearing hiking boots, boots that I have worn on many hikes with sure –footed traction, but on this day, traction was nowhere to be found. But if you do decide to hike the Kalalau trail, you will be rewarded with some amazing views, like the one in the picture below. My favorite Kauai hike is the Nu’alolo/Awaawapuhi trail loop. It goes out along the Nu’alolo cliffs which allows you to see the Na Pali Coast and spectacular views of the Nu’alolo Valley. The downside of this hike is that these spectacular views are also subject to the weather. Cloudy weather quickly erases those spectacular views. While some hikes have hard-to-find trailheads and at times trails, this one is pretty easy to find and navigate. Drive up Wiamea canyon to the Koke’e ranger station where you will find the trailhead on the south side of the station. Go into the station to ask about trail conditions and study their up-to-date map. This trail is essentially a loop trail that takes you out on the Nu’alolo trail, you will then traverse the Nu’alolo cliff trail over some rugged terrain and then you come back on the Awa’awapuhi trail which dumps you back on the road about 1.5 miles from the trailhead. At this point, you are pretty tired, but that mile and half is downhill which helps. The first time I did this hike, we saw plenty of goats. The last time I did this hike, the sky was overcast and I didn’t see much but the trail itself. Every time I hike this trail, I am amazed at how few people I see. A very popular hike is called Sleeping Giant (or Nounou Mountain). From Wailua, looking at the Nounou Mountain range just right, you can see what appears to be the profile of a giant sleeping man or at least the top part of a giant sleeping man. The hike to the top is slightly less than two miles. 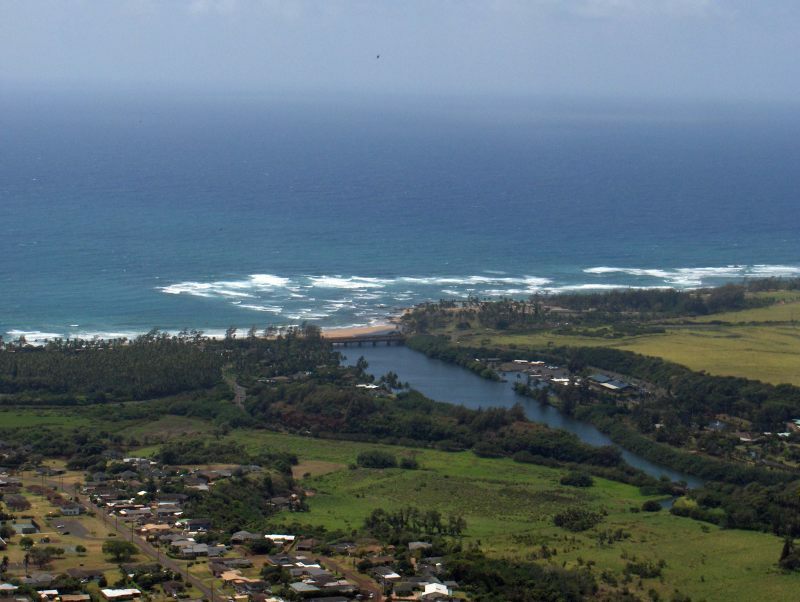 Once there, you get some magnificent views of East Kauai. To get to the “west” trailhead, take Kuamo’o Road (Highway 580) from Wailua for about 2.5 miles and then turn right at Kamalu Road (Highway 581). You will find the trailhead up the road another 1.5 miles at telephone pole #11. Below is a sample of the view you will get from the top of Sleeping Giant. 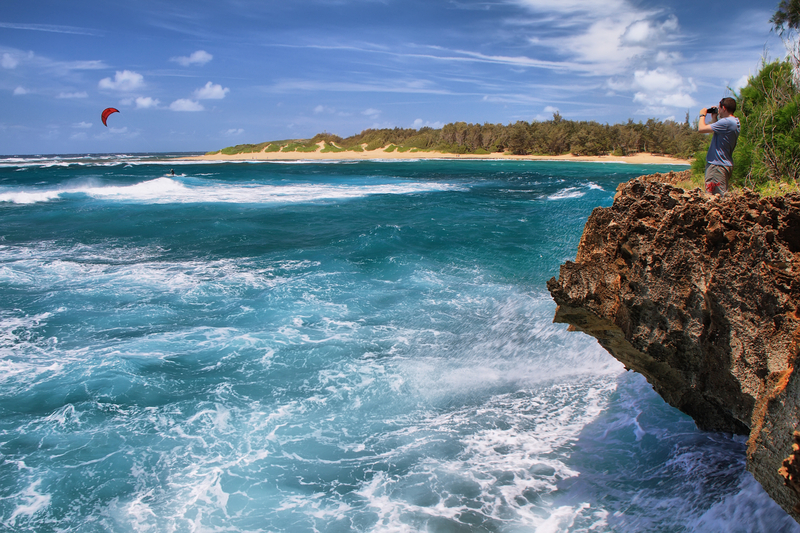 In terms of bang for the buck, the Mahaulepu Heritage Coastal trail is one that is easy to hike and gives you great views of the ocean and a great sampling of Kauai: beautiful beaches, jagged cliffs, and a pounding surf. Take Poipu road east to the Grand Hyatt and park in the parking lot there. Walk down towards the beach and follow the beach to the east and you will cross shipwreck beach and eventually work your way over to Gillan’s Beach, which is a beautiful beach but not always safe for swimming. If you need more convincing to hike the Mahaulepu Heritage Coastal trail, take the virtual tour . The Mahaulepu Heritage Coastal trail is an easy hike consisting of a couple miles down and a couple miles back.